This topic provides a step-by-step instruction on how to configure Web Site to run in IIS7 environment. 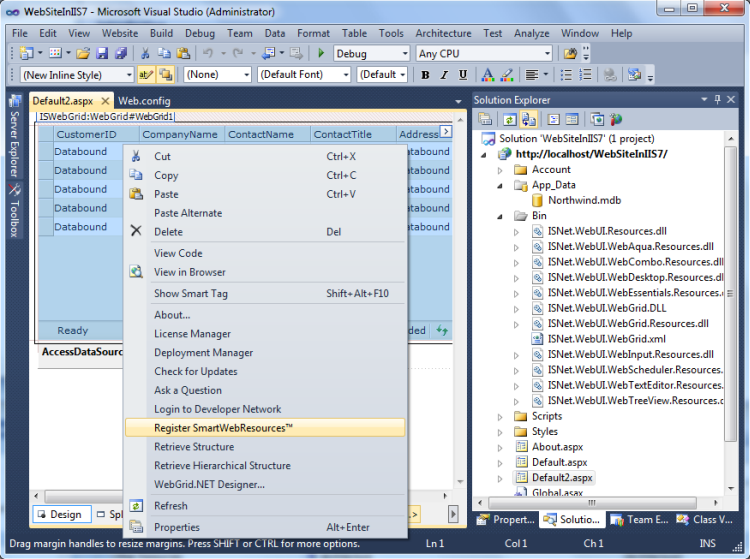 Open Visual Studio 2010 application. Create a new Web Site and set Web location to HTTP. Drag an Intersoft control to the WebForm, e.g: WebGrid. Right-click on WebGrid control and select Register SmartWebResources™. Bind WebGrid to AccessDataSource control. 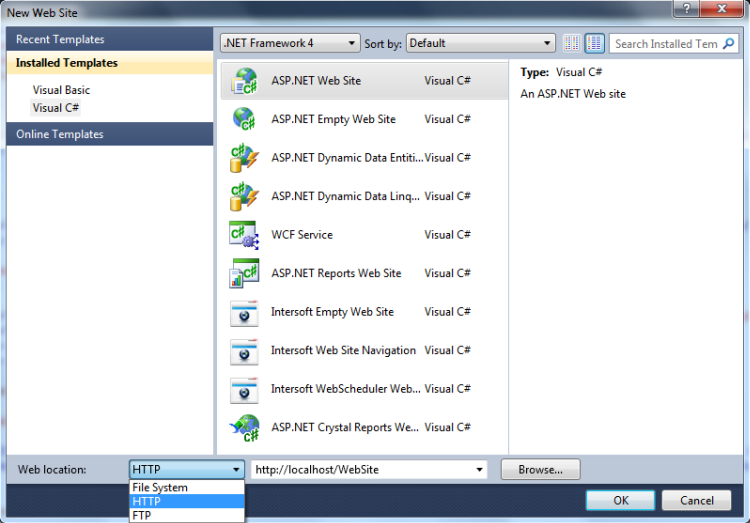 When you run the project, it will show you an error indicating that your Web Site is not runable in IIS7. To run WebGrid in IIS7 environment, you only need ISChart.axd and ISRes.axd. However, to run all Intersoft products, you are required to add several addition such as ISCoverFlow.axd, ISScheduler.axd, WebFileUploaderHttpHandler.axd and WebFileUploaderHttpModule. Save and run the project. Now, you can run Intersoft products in IIS7 environment.